As one of Moore County's top real estate professionals, Linda Maull brings an innovative, high energy approach to buying and selling real estate. With over 40 years of valuable experience helping buyers and sellers in California and North Carolina achieve their dreams. She has consistently exceeded expectations and provided the highest level of service to her clients. 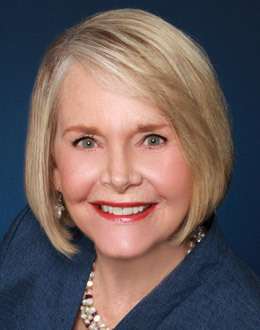 Linda Maull is a trained Relocation Specialist, and an Accredited Buyers Representative, ABR; she is specially trained to help buyers relocate. She will guide you through all aspects of the relocation process, opening the doors to great financing programs, ascertaining property values and introducing you to all of the properties that suit your specific needs. You will be well educated on market conditions and feel confident that you found the best value for your money. Linda will take the time to understand your goals and will work tirelessly to help you attain the results you deserve, "I make it happen, you make it home." Linda is a Real Estate Marketing Consultant. She has up to the minute neighborhood property values and will give you a free market evaluation and implement her proven marketing plan to sell your home quickly and for top dollar. Your property will be featured on all of Linda's real estate web sites, with exposure to thousands of potential buyers. Backed by a professional photographer and a transaction coordinator, the successful closing of your home is assured. Linda is focused on assisting you to achieve your real estate goals. "There is a buyer for every home, let me help find yours." In addition to being a real estate professional, Linda Maull has been active in residential building and remodeling. Let Linda guide you through all of the unique challenges that accompany the building process. She will find the perfect site, at the right price. "I'll be with you every step of the way to build your next dream home." Linda attended the University of California at Santa Cruz and U.C. Irvine. She has written two cookbooks and designed sets and costumes for professional theatrical productions. "I love golf and sailing, but my primary passion is working with buyers and sellers." Whether you are moving to Pinehurst/Southern Pines to play golf, enjoy equestrian pursuits, begin a new career or want to retire, you will feel right at home with Linda. Let Linda open the doors to a great new place to call home. When it's time to change your address, don't settle for less! Linda Maull was fantastic to work with. She gave us great advice on pre-listing strategy that really paid off once we finally put the house on the market. She was helpful in coming up with creative offer responses that allowed us to reach agreement very quickly! We will definitely use her again and have already recommended her to our friends. – Kevin and Susan P.
Linda Maull always responded in a timely manner and was very knowledgeable about the entire process. Linda communicated very well with third parties. Any bump in the road was nipped right away; everything seemed to run smoothly. I would recommend Linda for any property purchase! She will work hard to get you what you want.